Hosted by the event- management company Insomniac Events, Electric Daisy Carnival is a 3- day electric music dance festival which takes place every year in Las Angeles. It is a must on the bucket- list of pop and electric music lovers. This festival was first produced in the year 1997 and over these years; it has spread across various locations in USA, including California, Florida, New York, New Jersey, Texas, Colorado, Illinois and Puerto Rico. Several of these Electric Daisy Carnivals have been staged in Mexico and UK as well. This is also the largest music and dance festival taking place outside Europe and in 2010; it was dubbed as the “American Ibiza”. Every year, millions of fans of electric music attend this festival and spend three days listening as well as dancing to some of the best electric DJs out there. While some of the DJs use laptop- controlled experiments with music and sound, other still stick to the vinyl and turntables. This electric music and dance festival has now become one of the most visited rave events in Las Vegas. Some entertainers also associate this music and dance carnival with an adult amusement event just like Disneyland for kids. 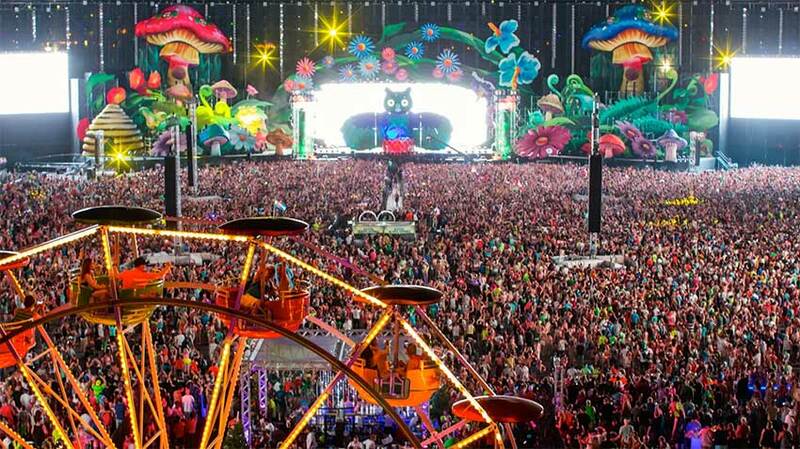 The amount of energy and sound effects found at Electric Daisy Carnival is only matched by music and dance events such as Tomorrowland and Ultra.